Right now I am about half-way through reading Fritjof Capra and Pier Luigi Luisi’s new book The Systems View of Life – A Unifying Vision. In the coming weeks I will be writing both a review, and also how it connects, complements and integrates with our own book Holonomics: Business Where People and Planet Matter which Fritjof generously wrote a testimony for. While you are waiting for these, I can do no better than to share this talk Fritjof gave this week at Schumacher College in the UK, where he introduces The Systems View of Life, discussing how the systems view of life integrates the dimensions of biology, cognition, society and ecology. As I am reading the book I am finding that my own conception of autopoietic cognition is moving from a purely intellectual understanding to a more meaningful intuitive conception, something that has eluded me during the last few readings of Maturana and Varela’s The Tree of Knowledge, perhaps because I myself have a classic training in cognitive psychology. As the authors write, the book is non-linear, and I am really developing some new insights and ideas for future projects. Fritjof discusses this in this talk, which is the best introduction to this important new text book you will hear from one of the world’s most insightful and influential system thinkers. 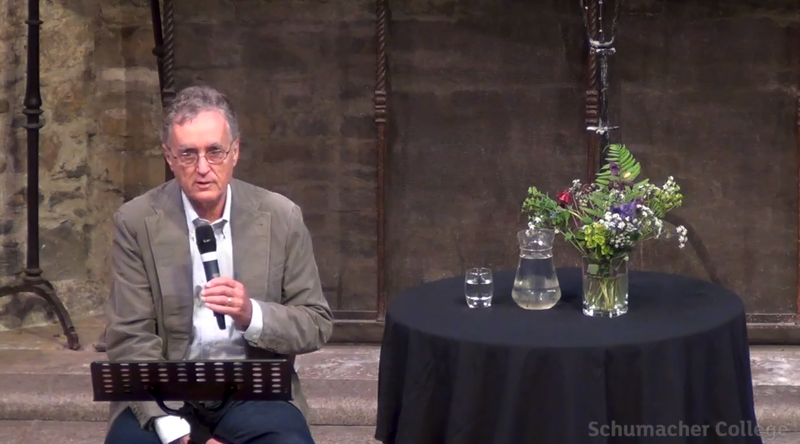 Simon, Thank you for posting the talk from Fritjof Capra. Wonderful music to my ears and it is like attending a course at Schumacher. College. Grateful for this space that you have created.